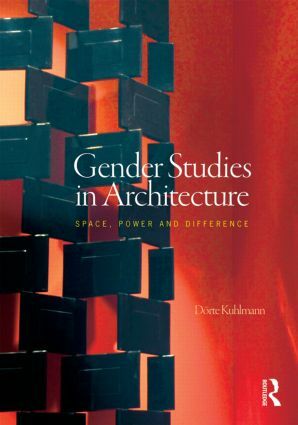 Analyzing a range of ideas from biological, evolutionary and anthropological theories to a variety of feminist, psychoanalytic, poststructuralist and constructivist discourses, this book provides a comprehensive introduction to the problematics of gender and power in architectural and urban design. Topics range from conceptions of postulated matriarchal architecture in Old Europe to contemporary technologies of control; from the mechanisms of gaze to architectural performatives; from the under-representation of women in the planning profession to the integration of gender issues to the curriculum. The particular strengths of the book lie in its inclusiveness and critical analysis. It is not a partisan defence of feminism or any other theory, but a critical introduction to the issues relating to gender. Moreover, the conclusions reach beyond a narrow gender studies perspective to social and ethical considerations that are unavoidable in any responsible architectural or urbanistic practice. With its broad range and balanced analysis of different theories, the book is suitable as an overview of gender studies in architecture and useful for any designer who is concerned with the social effects of the built environment.